The New York Giants‘ GM Dave Gettleman is a master at finding late round gems on the offensive line. This article will take a look at several potential late round gems that Gettleman might be eyeing in the upcoming NFL Draft. Recently, the Giants sent offensive line coach Hal Hunter to evaluate the big men coming out of the Appalachian State football program. One of those players is Colby Gosset, which is surely on the list of late round picks for Gettleman. Gosset’s greatest strength is his durability, as he played 46 straight games for Appalachian State. He possesses an NFL caliber frame and has great quickness for a big-man. His strength and power allows him to hold defensive lineman in place and his quick feet allow him to re-establish position. He is solid against defensive tackles and can hold his own on the interior. At 6-foot-5, 315-pounds, he’s exactly what Gettleman might be looking for in the draft. Clapp was expected to stay at LSU in 2018 but has decided to declare for the NFL Draft. He has solid run blocking abilities and is serviceable in pass protection. He will need a year of development, but with help from professional coaches and players, he should be able to develop into a solid interior lineman. 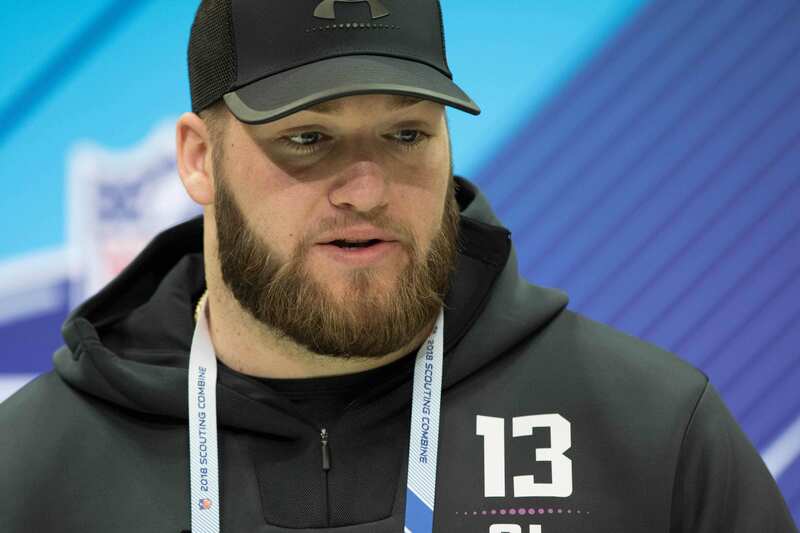 Most teams gave Clapp a third-day grade, which means if he stayed in college one more season, he could have been a potential first-rounder in 2019. Standing at 6-foot-5 and weighing in at 303-pounds is the Army left tackle, Brett Toth. Toth has great size for the NFL. After a great performance at the East-West Shrine, a lot of teams were interested in giving him an interview. He has superior athleticism but is still quite raw when it comes to his technical abilities. With a bit of training at the professional level, Toth could develop into a quality tackle on either side of the ball. For the Giants, he could be a serviceable right tackle within one-two years.